Check our auto parts inventory before you visit the junkyard. Additionally, we offer a service to buy your junk vehicle with cash and pick it up for FREE in your neighborhood. We sell used rims and tires(any sizes), used batteries, wheels, doors, hoods, fenders and more. You can also buy & sell used cars Orlando. Tenemos un socio de habla español para su conveniencia. Family owned, operated & affiliated with multiple junkyards in Central Florida and beyond. Our longevity in the used auto parts industry is due to our history of dependable products, friendly service and guaranteed customer satisfaction. Several employees have been here for more than two decades. Each employee is an expert in the industry, has a thorough understanding of our mission and is dedicated to the work we do for the community. A+1 = Auto Salvage is licensed and insured with over five acres of auto parts, used engines & transmissions in our junkyard. A+1's junk yard stays in compliance quarterly with E.P.A. current storm water pollution prevention plan to keep our environment healthy and stable for our future generations. 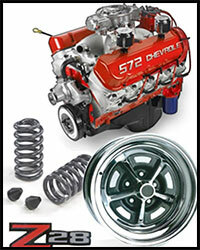 Dial our number when you need any kind of automotive parts & accessories at 407-809-5759. Click here to email us!